DoubleClick for Publishers is a complete ad revenue engine that helps publishers capture the full value of every impression across demand sources and channels. Seamless integration with DoubleClick Ad Exchange provides instant connection to millions of quality advertisers, while the natively integrated sales management platform streamlines operations for maximized sales at minimized costs. 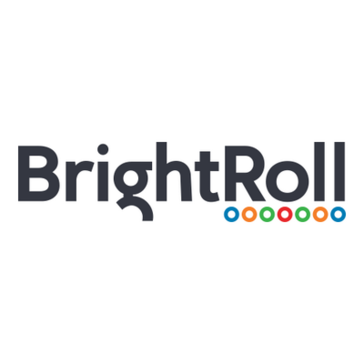 The BrightRoll Exchange is the leading programmatic marketplace for display, video, and native ads on desktop and mobile devices. Demand-side platforms, agencies, and ad networks connect to the exchange to access and buy unique and premium ad inventory from the top publishers. The BrightRoll Exchange’s comprehensive inventory quality process protects buyers and enables them to maximize the return from their programmatic ad campaigns. Broadstreet is a publisher ad server that caters specifically to the needs of direct, digital ad sales. Its team of direct ad sales experts have built a platform best suited to city and regional magazines, local news websites, trade journals, and radio broadcaster. 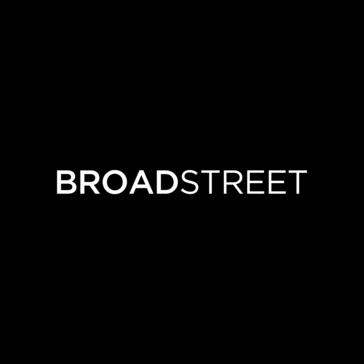 Broadstreet is a long-term sponsor of CRMA, LION Publishers, and similar publisher associations. Adzerk's APIs make it easy for engineers and PMs to build their own server-side, fully-customized ad server. Top e-retailers and user communities use Adzerk to build innovative ad servers to promote anything from native ads to internal content to sponsored listings (where vendors and sellers pay for their organic listing to be promoted in search and browsing results). Engineers reliably see a 90%+ reduction in dev time using Adzerk’s APIs versus doing it entirely from scratch. Adzerk’s customer list includes Fortune 500 brands, public companies, and unicorn startups, including Bed Bath & Beyond, LiveNation/TicketMaster, TradingView, Wattpad, imgur, Strava, and many more. Adaptive Medias, Inc. is a full end-to-end platform solution for digital monetization. Seller Cloud is the leading independent advertising marketplace that connects sellers across a global landscape of trusted, high-quality buyers. Maximize yield for your inventory and audiences across all screens and formats, with all of the benefits that automation provides. AdButler helps thousands of publishers save time and maximize revenue with a fully customizable, rock solid and easy-to-use ad serving platform! AdButler allows publishers of all sizes to create an ad server that fits their needs and maximizes their revenue. We also serve all ad formats (Images, Video, HTML5, Email, Native advertising, and custom ad formats) and help publisher combine direct sales and programmatic ad selling to maximize their revenue. AdButler is not just a tool: Our team of experienced engineers is always available to create custom ad servers for our customers that meet their exact needs. We also offer our customers free consulting session with our monetization experts to help them boost their ad revenue. Helping publishers create and monetize exceptional reading experiences with digital editions, apps, and responsive websites. Videology’s (videologygroup.com) converged advertising software empowers media companies to maximize the value of their full portfolio of inventory and audiences across screens. Pure performance driven technology for results oriented publishers. Publisher Edge allows you to close the loop, connecting all aspects of your business by solving your everyday challenges. At the heart of our approach is enabling your ability to monetize. This means creating individual products, connected through a unified dashboard, which work seamlessly to identify threats and opportunities. Once identified, we give you the essential tools needed to nurture new revenue streams regardless of channel or demand source. Publisher Edge is more than just a source for premium demand for your inventory or a marketplace to sell your data. It’s the industry’s most publisher-centric ecosystem for putting your inventory to work. AdSpeed Ad Server combines the latest ad serving technologies with advanced web analytics to maximize your advertising revenue. Adtelligent is a sell side ad technology company providing holistic demand management and intermediation solutions for publishers. We engineered the AppNexus Publisher Adserver to improve ad performance and profitability, offering complete digital ad management and superior yield optimization on one unified and independent platform. Premium site-specific marketing solutions for advertisers and publishers. MediaVoice is used to create, present, service and report your direct-sold native and programs with CMS, ad server and the ability to be used across all devices. Popcash is an advertising network offering popunder advertisements. PubNative is a mobile native mobile publisher platform that lets you create relebant ads to fit your apps design. Now you can go from data to insight to action with a single platform that lets you manage it all. Inventory and order management. Forecasting and optimization. Reporting and visualization. sovrn helps publishers claim their stake in the independent web. Ad6 Media is an advertising network offering publisher networking and advertisement optimization solutions. ad.agio is a muli-channel ad server enabling brands to deliver advertising across all platforms and devices. Adfrontiers is an ad server that allows for managing multiple adnetworks. Each network has its own self contained advertisers and publishers, and the software works by hitting a certain margin for each ad network. 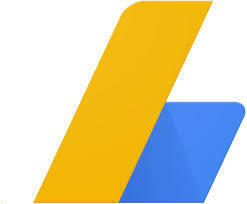 Adhese is an independent ad server for publishers. Adition unified adserving platform provides advertisers, agencies and publishers/marketers with individual, custom-fit solutions. Founded in 2008, Admixer Ltd. Group is an AdTech company that develops and maintains products in the field of digital advertising management. Admixer presents the full-stack programmatic ecosystem by own products line: for Publishers - Admixer.Publisher, .Network and Player.Best for Advertisers: Admixer.TradeDesk, .DMP and .Creatives. Also, Admixer runs own .AdExchange integrated with world-leading DSPs and getting inventory from global SSPs and premium advertising networks working on our technology. Headquartered in London, Admixer has more than 200 employees in Ukraine, Russia, Belarus, Georgia and Kazakhstan. Adomik helps digital publishers by improving programmatic and RTB yield management. Adoppler is the product of Geomotiv, inheriting its experience, skills, and, what is more important, people. The companies provide a combined offering which has not been available on the market before: Geomotiv uses its unique expertise in both linear & digital TV, bespoke ad tech, and Big Data, and provides its clients with a solution based on the Trusted Marketplace platform. Ad Serving Tool optimize your digital marketing strategies with targeted advertising, creative asset management, and multi-channel campaign tracking. AdSpirit offers an ad serving system that allows flexible and efficient ad management.